The Brazilian city of Salvador is using a discount on property taxes to incentivize the deployment of sustainable technologies in the building sector. Salvador’s IPTU Verde is a property tax tied to a public certification scheme by which building construction and renovation projects are rated according to their investments in sustainable technologies and ability to reduce CO2 emissions. Projects gather points toward a bronze, silver, or gold certification, which awards the developer with a 5%, 7%, or 10% discount on the property tax, respectively. The construction and renovation projects that pursue certification under the IPTU Verde are also prioritized under local government permitting of new developments. The sustainable technologies recognized under the IPTU Verde certification fall within the areas of water and waste management, energy efficiency, and alternative energy sources and range from natural lighting and ventilation to use of rainwater and wind and solar energy generation. 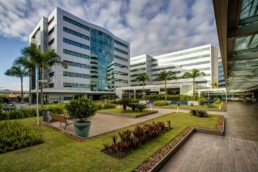 Through the increased demand generated by the IPTU Verde, Salvador aims to attract green companies and position the city as a hub for sustainable business. Salvador has opted to confront one of the worst economic crises Brazil has endured in recent history by betting on the sustainability market as an economic leverage tool. Encouraging citizens and businesses to develop sustainable projects through reduced taxes will reward an environmental mindset, increase demand for sustainable technologies, and attract new business to the city. Economic The program aims to develop a sustainable market of equipment, technologies, and services in Salvador based on the expected growth in demand for green building practices generated by the city’s incentives. Environmental Owners of land located in environmental protection areas who opt not to build or exploit the land economically are granted an 80% discount on their property tax. Salvador, also known as São Salvador, is the capital of the Brazilian state of Bahia. With 2.9 million people (2013), it is the largest city proper in the Northeast Region and the 3rd-largest city proper in the country, after São Paulo and Rio de Janeiro. Founded by the Portuguese in 1549 as the first capital of Brazil, Salvador is one of the oldest colonial cities in the Americas. Its metropolitan area, housing 3,953,290 people (2015) forms the wealthiest one in Brazil’s Northeast Region. Have a sustainable solution?Submit and showcase it to the world.